Graham and I have started looking at houses and talking with a realtor, which is both exciting and terrifying. We are trying to figure out what we need, what we want, what we can live with and what we can't live without. And how this is going to work out transitioning from our current place, in the current housing market. I have to admit, I'm feeling a bit overwhelmed. To forget about it, I'm purging as best as I can, hosting a clothing exchange, and compulsively looking on Zillow, MLS and Redfin multiple times a day, which might be the part that's not helping, but I just can't stop. We started going to open houses and casually looking to get an idea of what's out there, and what places actually look like in real life, as opposed to the gorgeous, fisheye staged photographs posted online. Let me tell you, some people are really talented at making the smallest room look like a palace. I'm going through the whole array of feelings during this process, but when it starts getting too much, I do my best to hold on to one particular feeling, and that's the one of heated floors. Too bad that was the only thing I liked in that house. 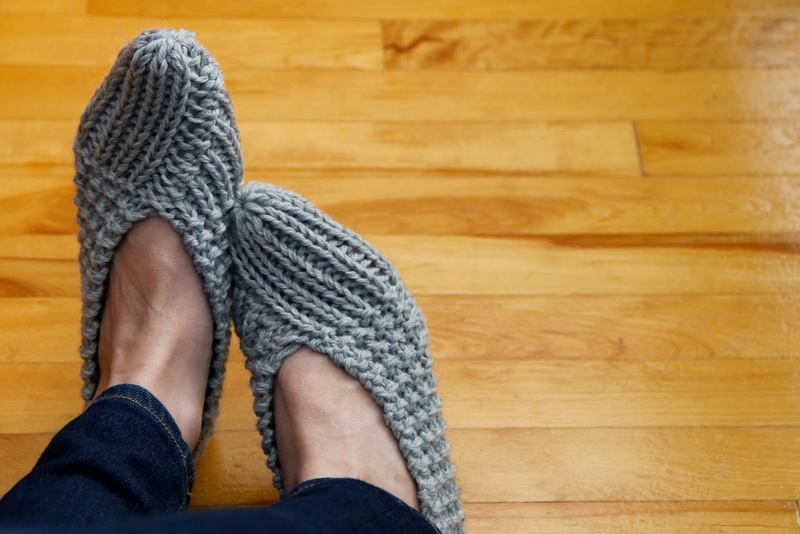 But seriously, warm feet in the winter. What else it there? 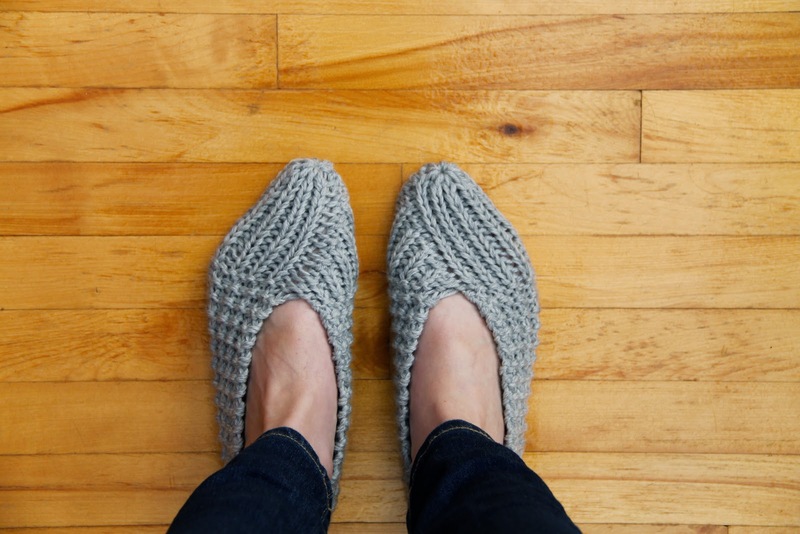 Slippers offer a pretty convenient alternative to heated floors, and when a friend asked me to make her a pair, I was super excited. I wanted my Tootsies Toasters to be perfect, so I decided to try out the pattern first. My gauge seemed to be quite different from Meg's, which I would have known had I checked it first. 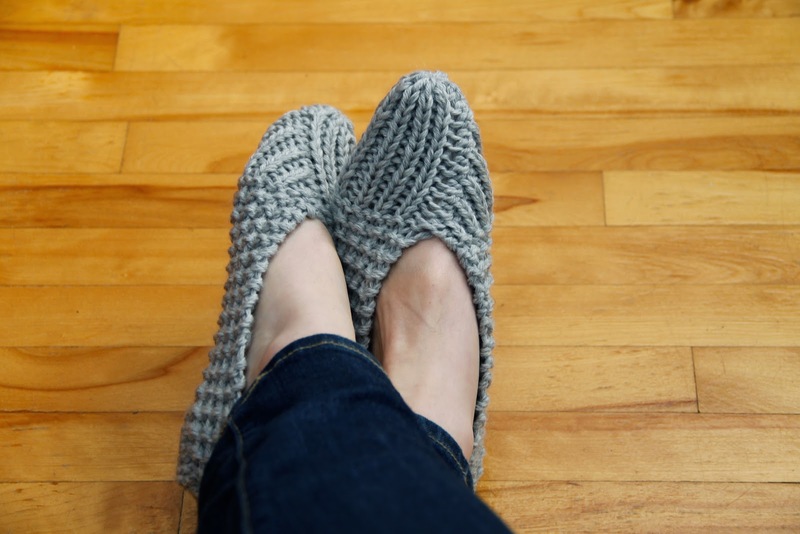 I obviously knew better, but I was excited to start, and it was going to be a quick project, so I just ended up with a super small slipper, perhaps because I used a lighter worsted weight yarn. 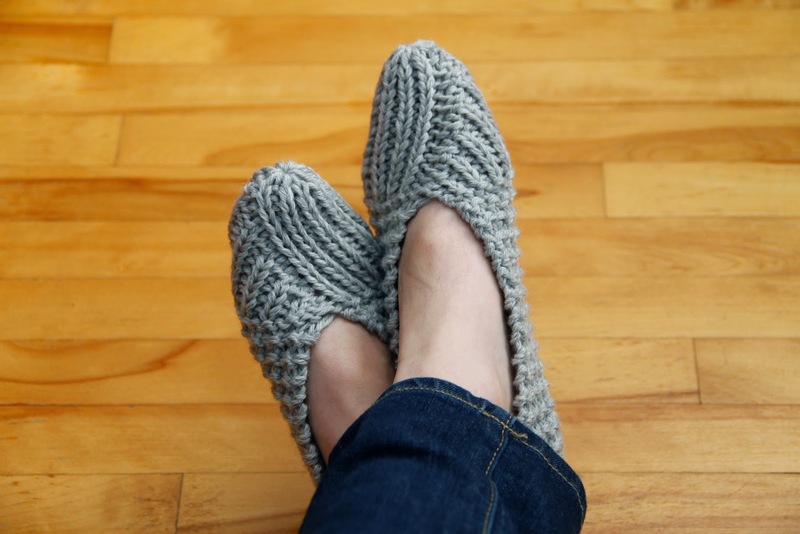 Once I got my gauge figured out, I followed the medium size instructions for a shoe size 5/6, and large for 7/8, using close to a full skein of Cascade 220 Superwash for a pair (100 grams). I followed the pattern closely but made 2 small modifications. For the left toe, after the first round of knit/purl, I slipped the last stitch from the left hand needle to the right and knitted those two stitches together, before continuing as established. It helped to tighten when joining in the round, which was a bit loose on my first attempt. I used a K2tog for all decrease stitches. When seaming together the heel, I wanted it to be as seamless as possible, so I tried a few different ways to make it smoother. The kitchener stitch didn't really work, so I went back to the 3-needles bind off as originally instructed, but for the last 6 stitches, I binded off two stitches at the time (which required some careful work to avoid dropping a stitch), creating a rounder heel. 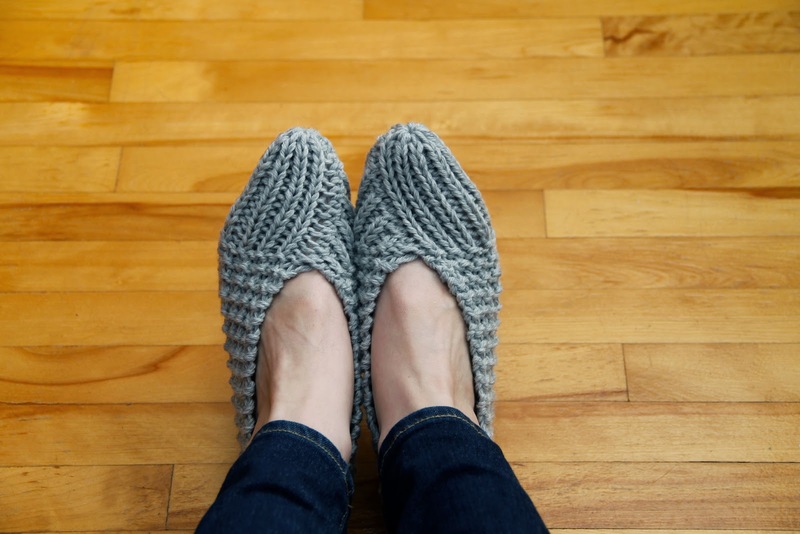 I loved these slippers so much that I made myself a pair as well, and have been wearing them from the time I get home 'til I slip into bed.